Family Portrait is the series title, it seemed fitting because the series is about family and their relationships. Under all the drama and mayhem at the end of the day it’s about family. 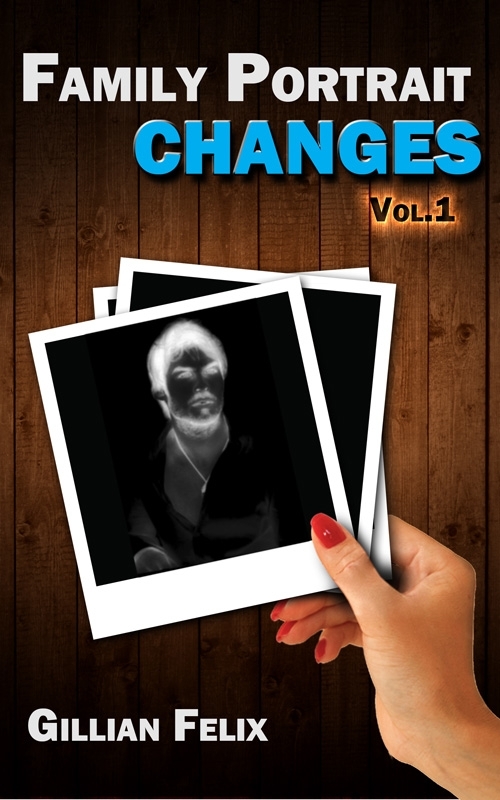 Changes (the first novel in the series) is the pilot episode of the television series which the book was originally. This is the 2nd cover, the first one was a black background with shattered glass. I figured it was too dark for the first book which is really introductions to the characters. Both concepts came from my sister the story editor Sherrian Felix and designed by Kendell Clarke. The second was lighter and added some mystery to the Haze character. His love interest finds his picture on the floor of a photo shoot and that’s what keeps her going. Both concepts are very simple, I’m not about being complicated or cryptic when it comes to the cover. I hope they will enjoy it, and stick around for the ride. These character’s lives are not perfect and we get to see their flaws and grow with them, I know I have. 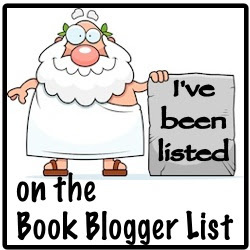 What was your most favorite chapter to write and why? I love to write any chapter with the lead character Adriana or ‘the Stoners’— Chellon, Kai and Jason. Adriana is a minx, her mind is so warped and devious. The Stoners are the comic relief. Why did you feel you had to write this book? There was a knot in my stomach that twisted every time I tried to talk myself out of writing it. I’ve had the story for so long. It really started to come into fruition 3 years ago when I wrote the first draft. It was a television series that I knew I had to turn into a book. I am an avid reader. I’ll read almost anything that catches my attention within the first 20 pages. 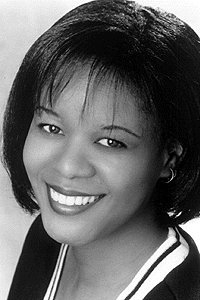 I am proud to say I have interviewed one on my favorite authors, Gavin Weston (http://www.plaintalkbm.com/10qs-with-gavin-weston-author-of-the-remarkable-novel-harmattan/). He wrote the book that changed my life called Harmattan. Harmattan is a story of an 11 year old girl who becomes a child bride. It was heartbreaking, I cried for days. Since then I have been involved in raising awareness of child marriage. The story was based on true events that he as an NGO witnessed. I have a book that is called You Sang to Me. It is a romance. I haven’t released it yet. I started with this series first because for some reason there was this strong desire to do it first. Even though You Sang to Me was written years before this. I am working on book 2 in the Family Portrait series. It will be called The Banovic Siblings and will be released mid November – December 2013. I love connecting with readers! I think I’m their fan. This novel is meant for mature teens and adults. Leighann DaCosta wants a normal life and Adriana Banovic wants a new acting job in Family Portraits Changes Vol 1 by Gillian Felix. Leighann is a singer that has become tired of the business. Leighann wants to quit singing to go back to high school and be a normal teenager. Savi, Leighann mother has other plans. Leighann decides to pursue school and goes to live with her older sister L’Wren, which lands her at Westwood Academy. Will Leighann fit in? Or has she made a terrible mistake? Adriana Banovic is a young actress. Adriana is let go from her soap opera and her agent does not seem interested in finding her more work. Adriana figures she can do things on her own, which lands her back in the hallways of Westwood Academy. When Adriana is asked to show the new girl, Leighann, around Adriana is not happy. Adriana only thinks and worries about Adriana and has no time for newbie’s. She can only think about auditioning for more work. Adriana soon finds out about an open audition and goes without the help of her lazy agent. Adriana meets Haze and there is an instant attraction. Will Adriana act upon it? The Banovic legacy is starting to die after Viktor and Jayne Banovic have passed away. Viktor wanted his sons Kelly and Robin to work in the business to keep it going. Both boys have other plans because they know firsthand how much the business kept their father from them. When issues arise for Robin and his family, Robin decides to move into the house his father left him. Robin then hires a private detective to find their other brother Adrian. Finding Adrian is proving to be a hard task and then Robin receives some shocking news. Family Portraits Changes was about family and how different they can be. The DaCosta’s and Banovic’s become intertwine and don’t even realize it. Readers will be able to relate to these well-developed characters. Each character has a different story to share with readers that will definitely keep him or her turning pages. I am anticipating what happens next and can’t wait to read the next volume. I recommend this book to others. This ebook was provided by the author for review purposes. In Philadelphia, good girl Kate is dumped by her fiancé the day she learns she is pregnant with his child. In New York City, beautiful stay-at-home mom Vanessa finds herself obsessively searching the Internet for news of an old flame. And in San Francisco, Dani, the wild child and aspiring writer who can’t seem to put down a book—or a cocktail—long enough to open her laptop, has just been fired… again. In an effort to regroup, Kate, Vanessa, and Dani retreat to the New Jersey beach town where they once spent their summers. 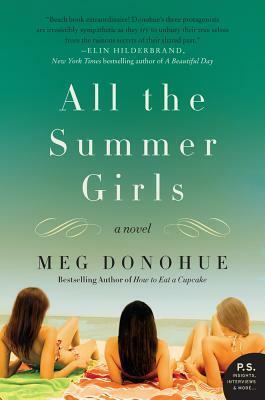 Emboldened by the seductive cadences of the shore, the women begin to realize just how much their lives, and friendships, have been shaped by the choices they made one fateful night on the beach eight years earlier—and the secrets that only now threaten to surface. Comment: This was a book about three friends needing to regroup and help each other straighten their lives out. These were woman going through the motions until life hit them over the head to make them wake up. The characters were well-developed and I could relate to what they were going through. The storyline was consistent and enjoyable which made for a good read. The unveiling of the secrets these women held was not what I expected and it kept me turning the pages. 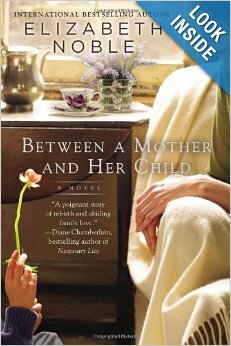 This was the first book I have read by this author and was very happy that I picked it for October. Twenty years after their impulsive marriage, Maggie and Bill Barrett are happily settled into the quiet comfort of their dream home with their three beautiful children. Then, the day after Christmas 2004, their world is shattered apart. Feeling isolated, Bill leaves to try to discover peace on his own. Maggie shuts down, incapable of connecting with her children or even sleeping most nights. Getting by in a daze, she has no idea how to begin picking up the pieces of their lives. Enter Kate: a woman who placed an ad in the paper to be a housekeeper and companion to a family. Kate has secrets and sorrows of her own, but her gentle caring has an immediate effect on the children—and on Maggie herself. When Bill announces that he’s fallen for another woman, Maggie realizes that she will have to fight to put her family back together. But after all they’ve been through, can anything truly fix their broken ties? 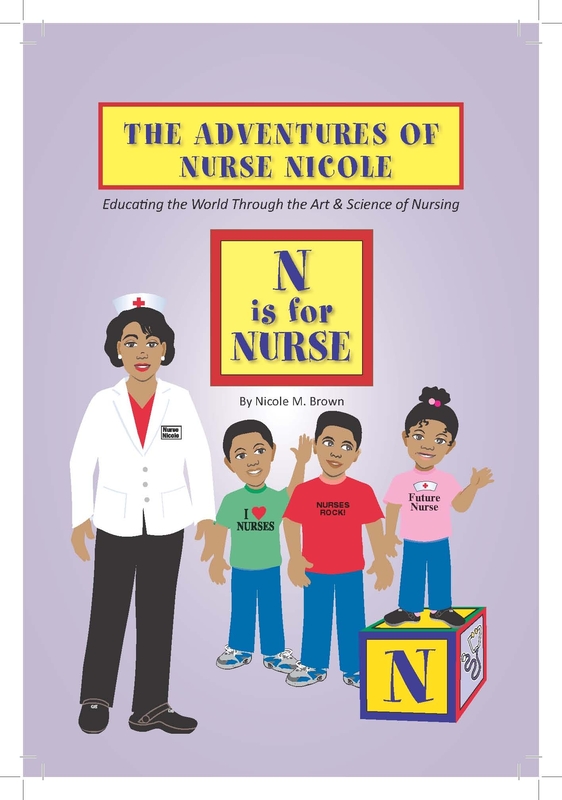 In this first book of The Adventures of Nurse Nicole: N is for Nurse by Nicole Brown readers are introduced to Nate, Nick and Nicola who are spending the day with Nurse Nicole to learn about her job. Nurse Nicole explains what she does by using the alphabets. Nate, Nick and Nicola ask questions which make Nurse Nicole smile. She explains that nursing is for everyone and is a great profession. Nurse Nicole tells them that she teaches nurses helping them learn how to take care of others. N is for Nurse was a beautifully illustrated book about learning. It is important to teach our youth as soon as possible. 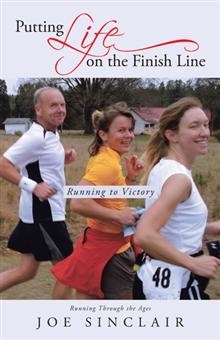 The author does a wonderful job expressing a clear message throughout the book. The author was creative in using the alphabet to tell about different parts of the nursing profession. This was a wonderful book that should be shared with elementary students especially on career day. I believe the addition of the color page at the end of the book makes it even more special. I recommend this book to others especially those in a teaching position. Nate, Nick and Nicola want to learn more about nursing in the second book of The Adventures of Nurse Nicole: Wash Your Hands by Nicole Brown. In Wash Your Hands, Nurse Nicole explains why washing your hands are important. Nurse Nicole tells the children different examples of how our hands can get dirty and attract germs. Preventing the spread of germs is important and Nurse Nicole tells the children what washing their hands can prevent. It can prevent infections, viruses and catching colds. The Adventure of Nurse Nicole: Wash Your Hands was consistently illustrated as the first book as well as being a book of learning. The author is a teacher and readers will be able to recognize this throughout the book. The author’s message was very clear and explained very well in this book. I appreciate the author including step-by-step instructions of how to wash your hands. This book would also be helpful in elementary classrooms. I recommend this book to those in the teaching profession.